Comics Experience Blog: CE Alum brings the smash-mouth urban fantasy in "Gargoyle By Moonlight"
CE Alum brings the smash-mouth urban fantasy in "Gargoyle By Moonlight"
Gargoyle By Moonlight #1, a supernatural adventure, is now available from Moonrise Comics in print and across several digital formats. And like a growing list of books out there, this comic comes with a Comics Experience tie-in and beginning. 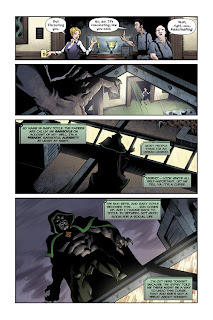 The monster-punching mini graphic novel is the story of Gary Doyle, who after being afflicted with a curse that turns him into a fearsome stone gargoyle every night, finds himself trying to figure out whether he’s a hero or the monster the world sees him as. When a demon begins annihilating his city, Doyle has to decide whether to go full-on monster or step up and save humanity. You can preview it online right now via a new video trailer or by watching below! Gargoyle By Moonlight, which was written by CE alum Timothy Bach, began its life in the Creators Workshop. Brian Atkins (brother of CE art instructor Robert Atkins) is the man behind the dazzling pencil work, while the trailer was put together by CE alum and Workshop member Rich Douek. 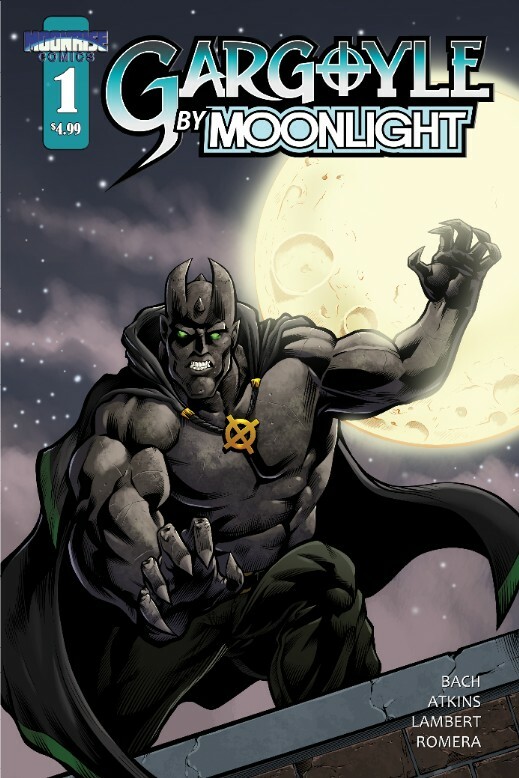 A 36-page full-color one-shot (with more stories planned), Gargoyle By Moonlight is available in print ($4.99, available at Indyplanet.com) and digitally at several outlets, including Graphicly, Apple’s iTunes, and Amazon’s Kindle Store ($1.99). 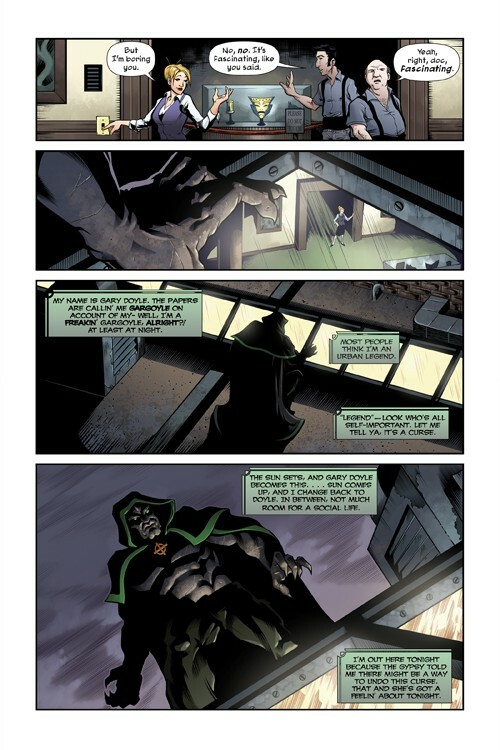 For more information, visit Moonrisecomics.com. Congrats to Tim on the release of his new book!